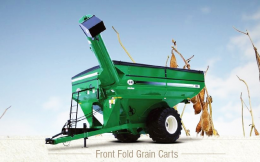 Flaman Grain Carts by J&M are some of the most dependable in their field, featuring unmatched design and performance. J&M Grain Carts have a solid reputation for excellent cleanout, even in high moisture grain. 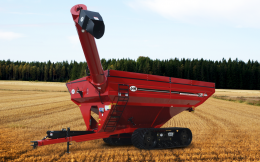 We provide everything from medium capacity carts for your smaller sized farm, to large capacity tracked grain carts, with x-tended reach and dual auger designs. We have both new and used grain carts for sale, or if you’re looking to trade in your old cart, talk to one of our experts.